In another thread RadioJoe mentioned the poor audio low frequency response observed with several transmitter designs. He also mentioned the use of a transformer in the power feed to the RF final. Unless specifically designed for such an application, commonly used transformers roll off in response as the frequency is lowered. Additionally, the constant average D. C. current passing through the transformers can cause them to saturate magnetically on audio peaks creating distortion. In the three tube transmitter which I designed based upon the Heising modulation scheme used in the Knight Kit broadcaster I experienced the same lack of low frequency audio performance due to the inductor used in the circuit. At low frequencies, the inductive reactance becomes low enough to attenuate the audio. Boosting the low frequency audio input helps but it is still not very good. The best audio performance I have observed is with my “high efficiency” transmitter which was described on this site a few years ago. The power supplied to the final RF amplifier is derived from a buffered op amp output which processes both the DC power and audio signals. The DC level sets the power input to the final and the audio is applied directly to the RF stage superimposed on the DC level. This gives a linear response up to 95 percent negative modulation. Since no transformer is used as a “modulation transformer” there is no limit to the audio frequency range. The audio portion of the op-amp circuit is frequency limited by design to pass the audio frequency range typical of a hi fidelity system. The result is a measured audio frequency component of the modulated RF output of 20Hz to 17kHz flat to within +/- 3 dB. To my ear, using my BC-1004C receiver set to wide IF bandwidth, the audio sounds as good as mono FM with powerful bass and clear high frequency audio. One key element needed to make this work well is audio negative feedback from the audio and DC driver output back to the audio amplifier. Some simpler designs with a transistor driving the RF stage do not have this and distortion is almost certain. The feedback makes the response linear. My recommendation for those who design their own transmitters is to avoid transformers and use feedback techniques to linearize the audio applied to the RF stage. Appropriate audio bandwidth limiting should be designed into the system. In my observation a great many people judge their audio quality based on bass. They want to hear a distinct “thump” or “boompf” as the woofer-loudspeaker pulsates. What the bass tells you about audio fidelity can be informative, as Radio8Z explains, and another “ear” test is made by judging the high-frequency response which can exhibit characteristics of wide-bandwidth. For example, if a grouped brass passage is distinctly reproduced the ear should detect different instruments clearly etched at their various pitches, tonalities and overtones, giving a genuine “presence” to the sound rather free of the “smeared” distortion one hears if the high frequencies are poorly matched within the system. It is also true that many individuals suffer from hearing impairments that spoil their ability to judge anything above the bass region, which can sometimes be improved by visiting a doctor for an ear clean-out. I doubt that many folks know what is meant by the word “linear” but I think what we mean is that sound is passing through the circuitry precisely at the same instant at all frequencies, also called “transient” response. Low frequencies become “smeared'” when they are delayed compared to higher frequencies. Aphex (the company) holds patents on audio processing gear that corrects for non-linearities in recordings, but the inter-connections must also be well designed or the benefits of such equipment are defeated. We must never stop until the ear is satisfied. Tell an engineer to design something which “pleases the ear” and you will likely elicit a response that they will produce a device which does not “color” the signal. What that could mean is that the device will not add distortion or phase shift. This pleases the engineer’s eye as they view the oscilloscope yet volumes have been written about the advantage of the distortion of old Fender tube type guitar amps being better than low distortion modern gear and who is to say who is right and who is wrong? We can characterize, without judgment about pleasing the ear, electronic gear my measuring distortions such as total harmonic distortion (THD), intermodulation distortion (IMD), and phase linearity. IMD in particular causes the bass to interfere with the treble and loss of definition and clarity results. Linearity and transient response are not related, however, and the closest term which comes to mind regarding transient response is known as damping. Engineering wise, usually what is known as “critical damping” is sought…this is where a system responds to a step change in input producing an output with minimal rise time and no overshoot. If this is an advantage in audio work is not known to me but it is usually desired in servo control systems. Be that as it may, when I used linearity in the OP my meaning was that the output is a constant amplitude multiple of the input. Op amp circuits are especially suited to accurately provide this, within limits, and hence my recommendation to consider same for modulation circuits. Op amps, almost by definition, operate with feedback to achieve this. 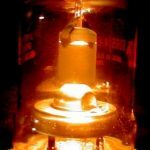 What determines the gain of an Op-Amp? I wouldn’t say that. I would say that they are not exactly the same thing but both play an important part in achieving the highest goal of a linear amplifier, a quality signal that retains its proportionality from input to output. Excellent transient response would be critically damped while being neither under-damped nor over-damped. An amplifier can be truly linear with poor transient response, but the quality of signal would be impaired. Further commenting on this, simple op-amp amplifier circuits are sensitive to the load at the output, especially capacitive loads such as found when driving long cables or coaxial cables. Such loading can cause poor transient response with ringing and even sustained oscillation. A property called phase margin needs to be considered in these situations. I mention this as a caution to designers who should be aware of potential problems and suggest that a design needs to be tested with the intended load. By way of agreement I note that inter-connection is the most poorly understood part of a home-radio setup and (arguably) the greatest cause of signal degradation. Excellent equipment can be wired together improperly and cause noticeable roll-offs of lows or highs and generate obvious distortion. Over the years much helpful information has been posted here but the same problems arise again and around we go. Recently our good friend the late Jim Henry applied helpful audio connection tips shared by part 15 members and was able to match levels and properly drive his Procaster over a distance of 100-feet of balanced-audio-cable, starting from a very degraded first result. There is no way forums like this one can avoid being ad hoc educational resources always attempting to help fellow hobbyists achieve the best result with their micro-signals. If the best advice is not understood what can we do to be better instructors? We can start over again and shift a few words around looking for the best combination. About losing the text made using Ctl-A Ctl-C: Windows stores only the most recent instance of the text saved using this process. A free Windows app titled Yankee Clipper will save a whole sequence of such files and present them to recover files copied to it going back in time, assuming you remembered to save them. The same thing happened to me a few times. I usually came back after awhile. One technique I use especially for long posts/responses is to use a word processor first, then cut and paste. The benefit is archive and spell check.